The valves for manual/thermostatic radiators (art.3384K and 3386K) are a further solution developed by Tiemme for the management of aluminium or cast iron heating elements. 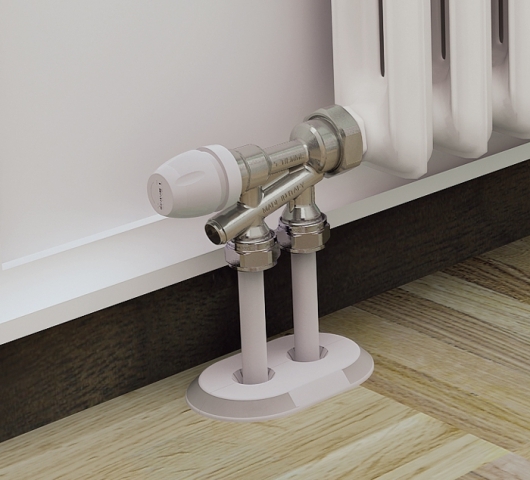 Their compact and universal conformation allows the connection with pipework coming both from the floor and from the wall, facilitating the installer’s task. 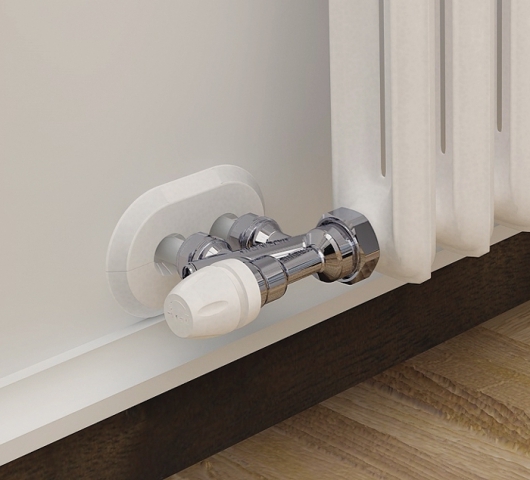 The valves are equipped with a knob for the opening and the closing of the flow in the radiator that can be easily replaced with a thermostatic head (art.9553) or an electrothermic actuator (art.9567) for the automatic control of the room temperature. Art.3384K one-pipe valve with the possibility of adjusting the flow in by-pass between 50 and 100%. It allows input/output inversion. 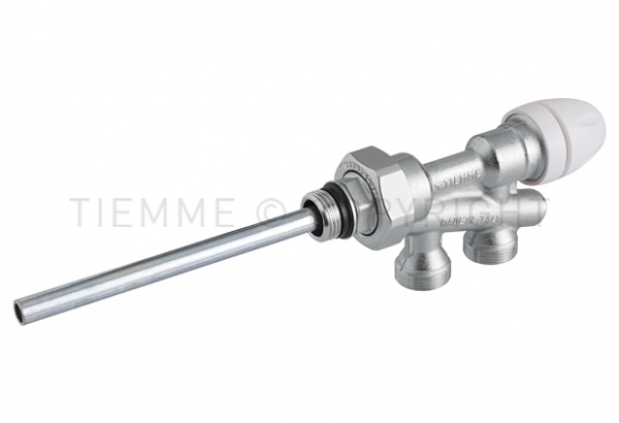 Art.3386K two-pipe valve with the possibility of adjusting the maximum flow rate inside the heating element (lockshield function). For further technical details, refer to the technical sheets of each product. Enter the MyTiemme reserved area to download the technical sheets of the articles.